Drones are becoming increasingly popular on construction sites for mapping and surveying. One reason for their popularity is that drones shorten the data-collection process significantly. Sites that may have taken days or weeks to survey by hand can be surveyed in a matter of hours using this aerial technology. The shortened process makes it financially feasible to survey a site multiple times throughout the construction process, giving users real-time information about progress and possible mistakes. Additionally, the altitude drones can reach lets them easily collect information that ground surveying might miss and gives the user a much more holistic picture of their site. 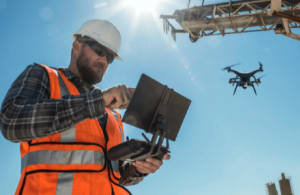 But choosing what drone to use for a project or determining whether you should collect data via LiDAR or Photogrammetry isn’t immediately obvious. That’s where this research report can help. Complete the form on this page to download your free research report. Your download is sponsored by FARO Technologies.